I was impressed with the narrator and really appreciate his work on what could have been a difficult piece. 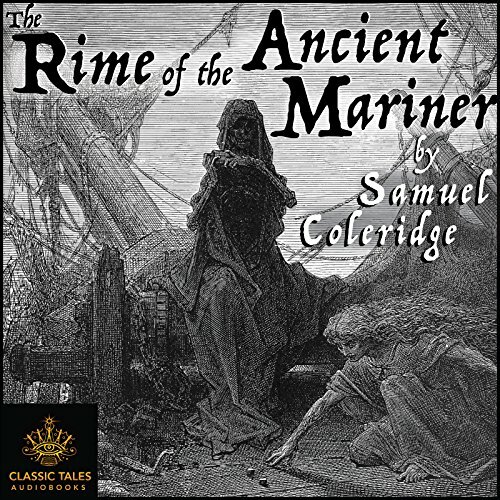 "Rime of the Ancient Mariner" is an acquired taste, but this was so well presented, I must give it an excellent review. I've listened to it twice in the last couple of days and will listen to it again shortly. I am really pleased with this work and its presentation. Out of all of Coleridge's works, this is my favorite, and the narrator instills so much emotion into every word of this reading. It's Coleridge and the reader read with emotion. One of the best readings I have heard. I have read this anytime and every time I have enjoyed it, but it only takes one bad voice actor that thinks they know how to read it to ruin it. All the sing-song voice acting in this is totally unnecessary. I could just see him closing his eyes and waving his hand when he was reading the part of the mariner. ACTING!!! I and ac-TOR!!! A good straight read most times the best solution. Try that instead of subjecting is to your horrid voice acting next time. Most beautiful tale slightly marred by skip and repetition. Why let it go public without quality check? This picturesque story length poem is even more hauntingly beautiful than the Gustav Dore paintings that have accompanied some editions. It is a classic that was published almost a half century before, but it reminds me much of A Descent into the Maelstrom by Edgar A. Poe. It is a tale of guilt, remorse, and expiation which certainly make for enduring themes. It contains many of the phrases we hear in other media: such as 'a painted ship on a painted sea,' and 'water, water, everywhere, but not a drop to drink.' But, it is the word pictures, such as that of departing souls flying past the mariner like an arrow shaft that make the poem so epic. I read it first in childhood, and I think that it was bigger then... more real... more colossal... enveloping in a way that a movie could have never been. But, in the years since then I've read Poe's tale, and besides that, The Count of Monte Cristo. I think those and the whole growing up process somewhat dampens the effect of this. Yes, its possibly too late to read this in your fifties for the first time. Just kidding. It's never too late my friend, as long as you are still breathing; as for expiation, the same as with reading good literature.